Teaching with Moodle: An Introduction is a structured course delivered using the latest Moodle release. The emphasis of this Moodle MOOC is on engagement and collaboration. Participants will interact with one another in the various course activities such as forums, and work together in a customised environment that supports innovative teaching and learning. A generation ago, many students’ learning experience consisted of textbooks, chalkboards and lectures. In the last 15 years or so, this has broadened to include online activities, live video-conferencing and asynchronous discussions. Today’s students are no longer content to sit still and listen to the “expert”; they want to play an active part in their learning. And today’s teachers no longer presume to be the expert on the sidelines: engaging with their class, they are the wise facilitators, motivating and guiding learners to build their own knowledge. But it doesn’t come easy, especially to teachers who might be experienced in a face to face situation but are uncertain about how best to use the power of the net to enhance their teaching. Do they simply upload their presentations? Should they be offering something more collaborative? Add to this the fact that many committed teachers have the desire to enhance their teaching skills, but struggle with finding the time to do so in their busy teaching schedule and you have a problem. How can we teach the teachers? One solution lies in MOOCs, open courses where large numbers of educators can learn together, at their own pace and in a relaxed, supportive environment. Moodle HQ regularly organizes a MOOC designed to introduce educators from all backgrounds to best practice in teaching with Moodle. The course, “Teaching with Moodle: an introduction” is the only officially recognized Moodle MOOC and has so far given up to 14000 participants the confidence to get involved in teaching online. With the next run starting on August 9th for 4 weeks, it’s a great opportunity to get free training and insights into making the most of the world’s most popular open source learning platform. So how did it all begin, and what’s the lowdown on the course contents and benefits for teachers? With Moodle use increasing globally in all sectors, Martin felt teachers would benefit from “a more structured MOOC - to show teachers what Moodle is and the depth that it has, and to help them understand how our activities feel from a student perspective, in a way that they can apply in their own Moodle courses” The HQ-designed four week MOOC originally ran in September 2013 but is now scheduled to run regularly at 6 monthly intervals and takes a social constructionist approach to learning, one tenet of which is “All of us are potential teachers as well as learners; in a true collaborative environment, we are both” Participants in the Learn Moodle MOOC not only get their own Moodle courses to practice in and become familiar with using Moodle for teaching, but they are also enrolled as students in a common course where they learn and interact with other participants, experiencing Moodle in the way their students would appreciate. 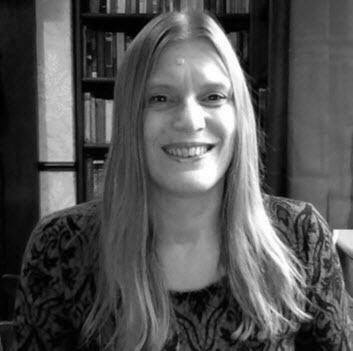 A second tenet states that “We learn particularly well from the act of creating or expressing something for others to see.” Participants collaborate on a wiki, glossary and database and although they build their sandbox courses individually, in the second half of the MOOC they invite others to enroll, test out and give feedback on their activities and undertake a peer-assessment task with Moodle’s workshop module. Weekly live video sessions maintain the connection with facilitators and learners, going over any issues arising from the previous week and outlining tasks for the coming week, and the constant presence in the help forums, not only of the HQ facilitators but also experienced volunteers, guarantee that problems are resolved very quickly. In a course with large numbers of participants, this ensures there is still the personal touch which is so vital to learner’s progress. It is this dual teacher/learner approach that helps make the MOOC so successful, along with the phased awarding of badges: the participant badge can be obtained early on in the MOOC simply by joining in forum discussions, and serves as an early motivator, whereas the completer badge requires involvement in all activities during the 4 weeks. 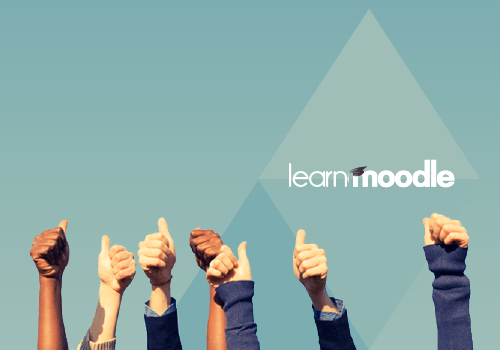 As MOOC accreditation goes, that’s quite a demanding set of criteria, but participants who achieve it really feel they’ve gained valuable understanding of how Moodle works for teachers and students and joined a community of like-minded enthusiasts. So who should sign up for the next run on August 9th? Anyone who is interested in using Moodle for teaching or training at any level! No technical knowledge is needed and participants don’t need to have their own Moodle site or course; everything is provided. You just need to keep 3 or 4 hours free a week during August and be prepared to engage with other Moodle beginners from all around the world.